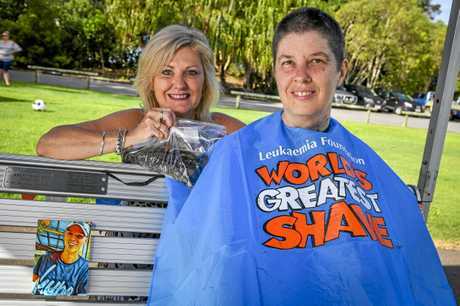 MANY Gladstone residents shaved their head for blood cancer over the weekend, but for Jenny Holland the occasion hit closer to home than most. In February 2017 Mrs Holland lost her son Brent, an apprentice electrician, to acute myeloid leukaemia. 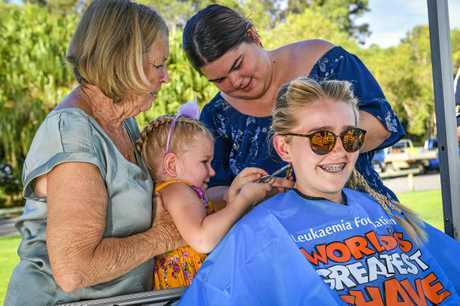 On Sunday she was joined by friends and family at Spinnaker Park where she had her head shaved to honour her son's memory and raise money for the Leukaemia Foundation. "Happy to be doing it, happy to raise money for the foundation because they were outstanding with us," Mrs Holland said. "I've never had short hair so it'll be interesting. 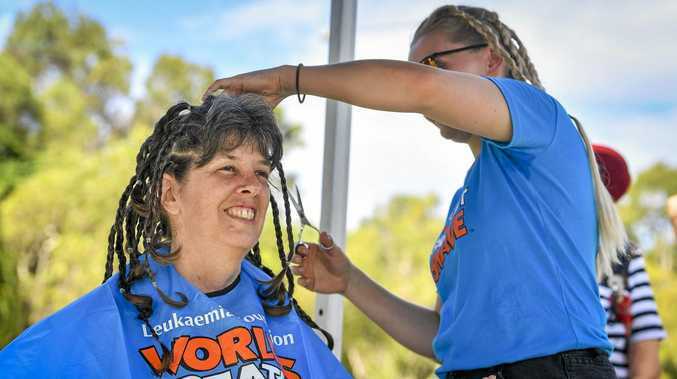 "I spent a little while putting all these plaits in, we will be donating all of the hair and hopefully it will be fine to use for wigs for cancer patients." She said the park was a significant place for her. "To us this is somewhere we come and think about Brent because he loved working at the port and we can sit and look out over the water. It's a good spot," she said. Family friend Hayley White also took part in the shave for a cure, having her hair cut short for the first time since primary school. 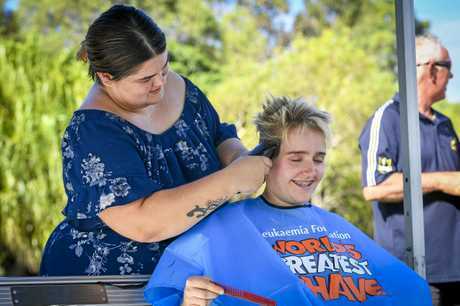 "I'm extremely nervous, I've nearly thrown up a few times but I'm pretty excited because it's a nice thing to be doing and watching all of Brent's friends do the shave for the past few years, we sort of thought it was time for the girls to do it," Ms White said. 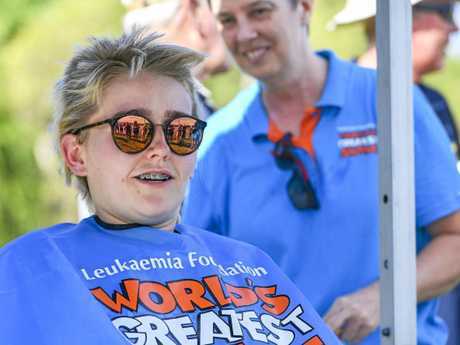 "The Leukaemia Foundation does a lot for people so this is a little thing that we can do to help them out." 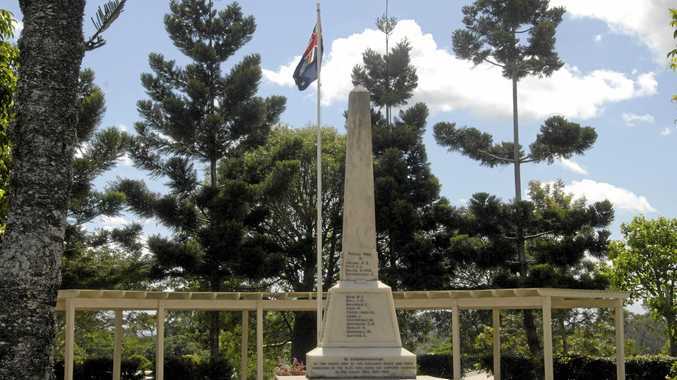 Mrs Holland said at least $11,700 had been raised in Brent's honour. Last year Brent's colleagues donated $3000 to the cause and this year donated $2500. 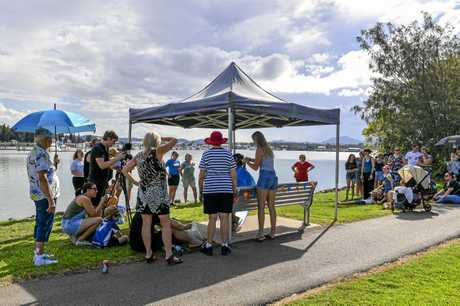 "Friends and family were very, very supportive and it's always good, especially when we have things in honour of Brent that all his mates are there, we catch up with everyone," Mrs Holland said.